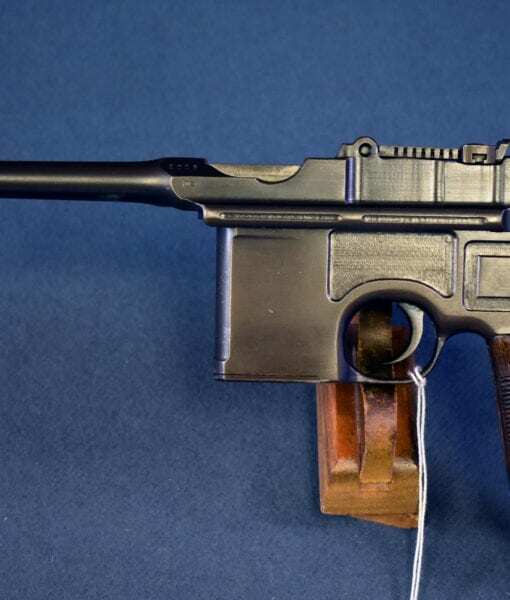 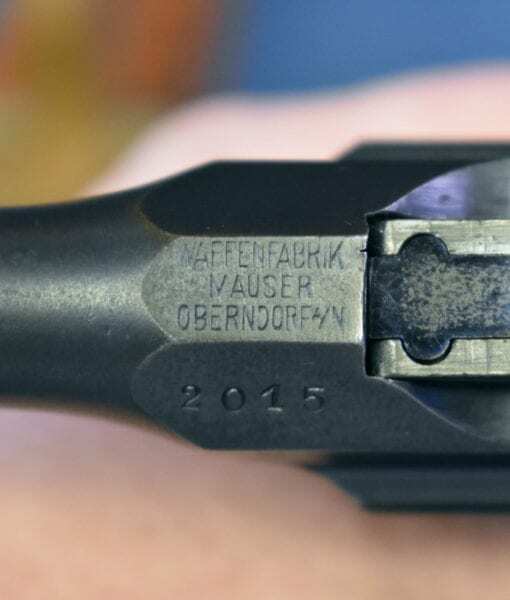 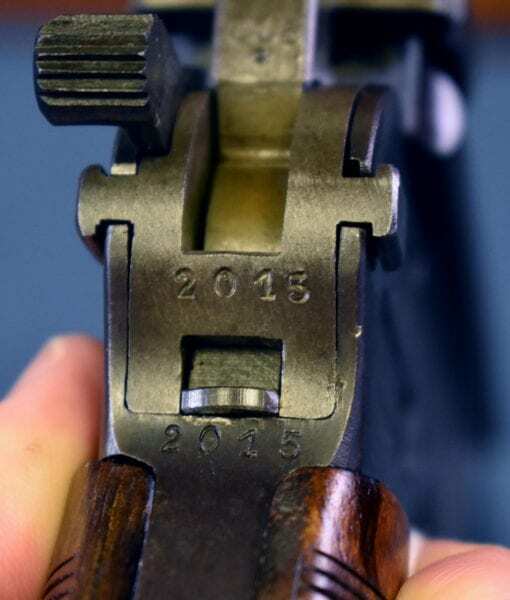 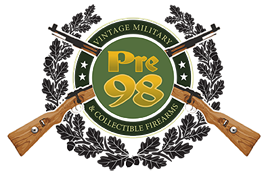 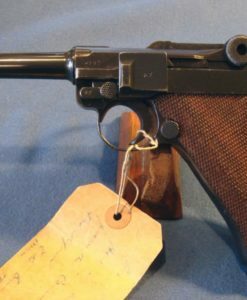 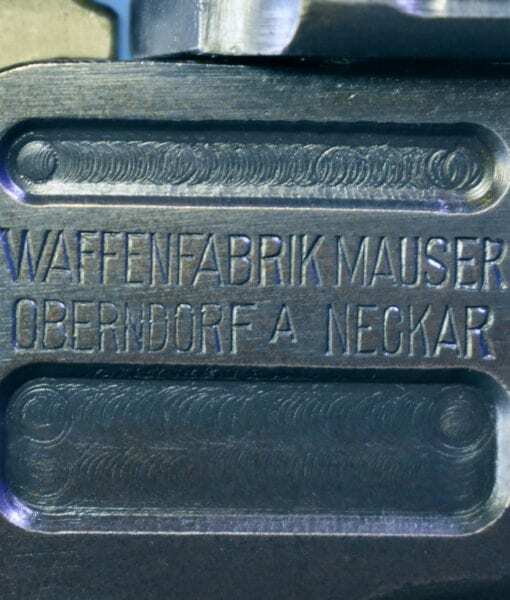 SOLD IMPORTANT INITIAL PRODUCTION (#2015) MAUSER M1896/16 “RED 9” BROOMHANDLE PISTOL…….PRE-RED NINE GRIPS…..ULTRA RARE!!!! 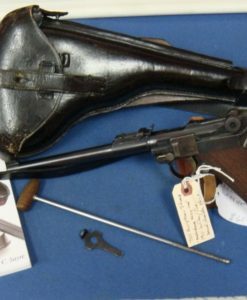 In 97% all matching condition, we have a very significant and important early production Mauser M1896/16 RED 9 Broomhandle Pistol. 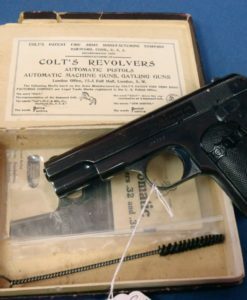 This is pistol serial #2015, and is one of the earliest known surviving examples, in fact only 6 are known to exist that are earlier. 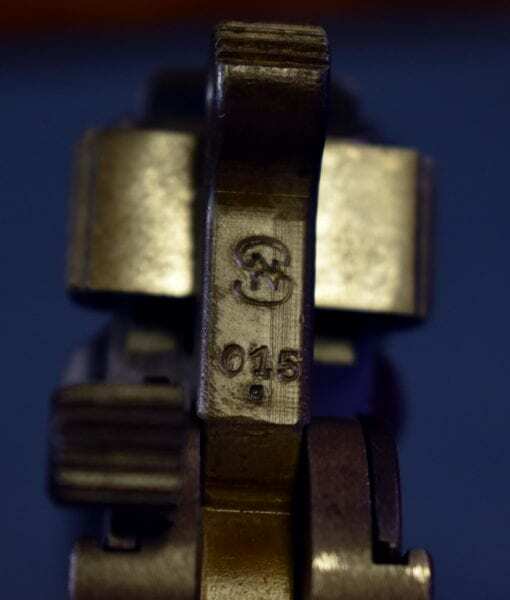 This is German Army Imperial Crown/M proofed. 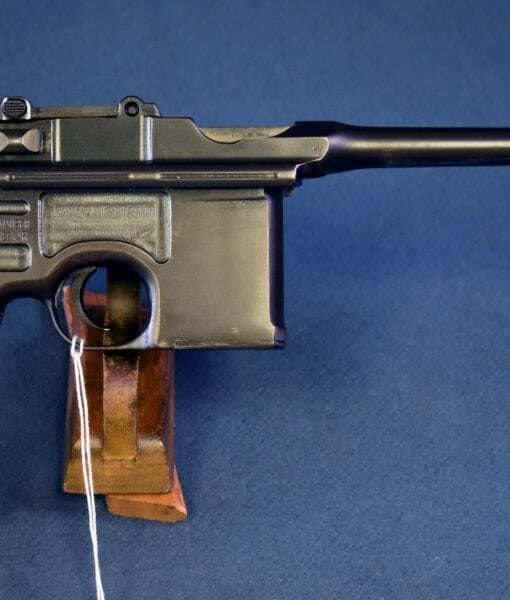 This pistol is all matching and the bore is mint. 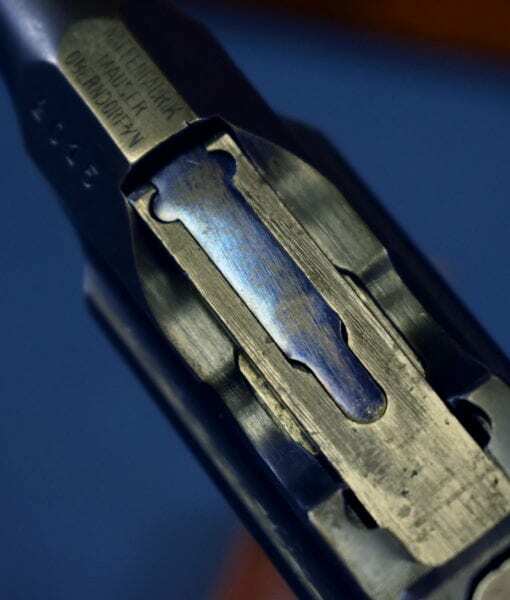 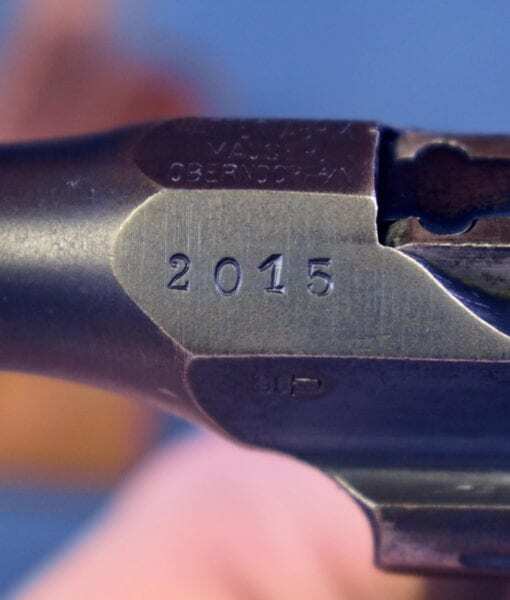 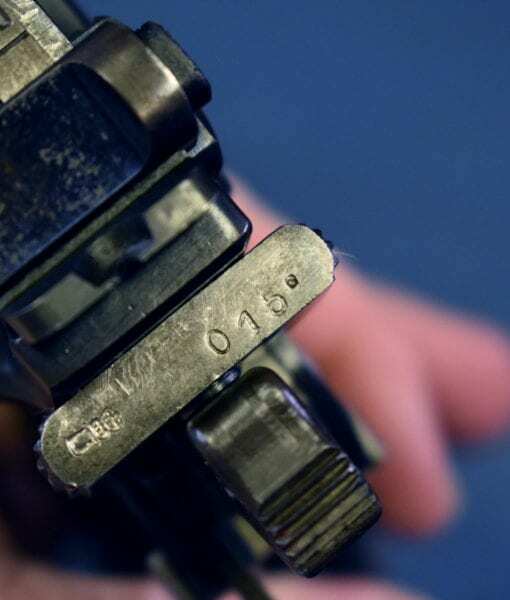 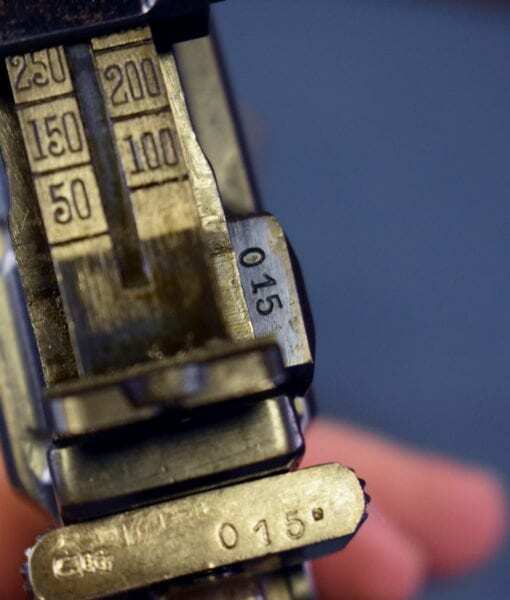 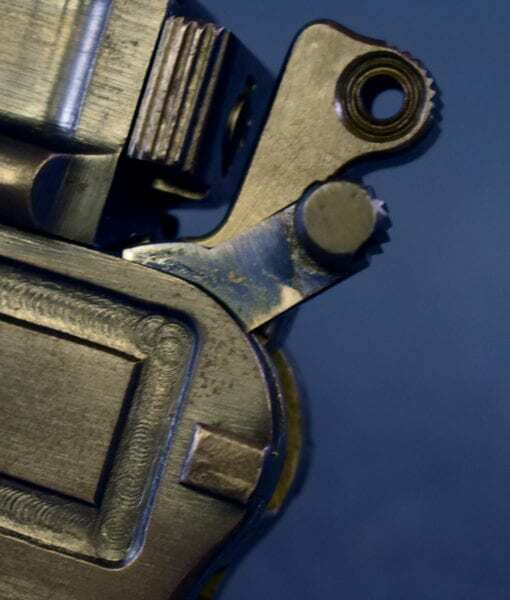 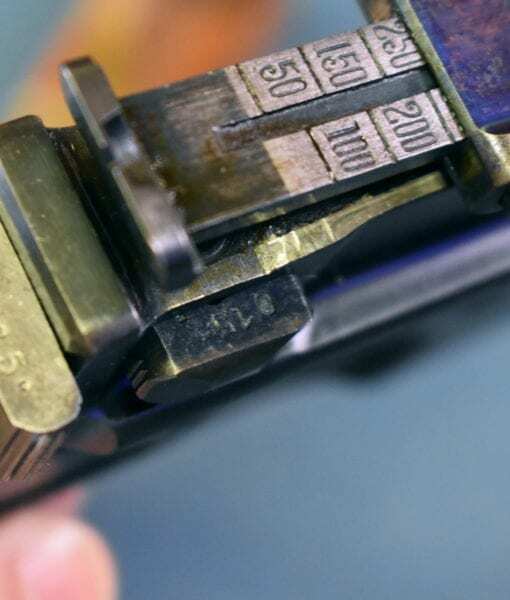 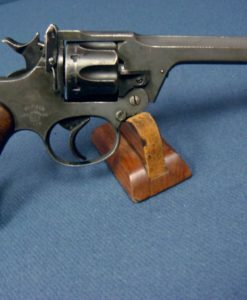 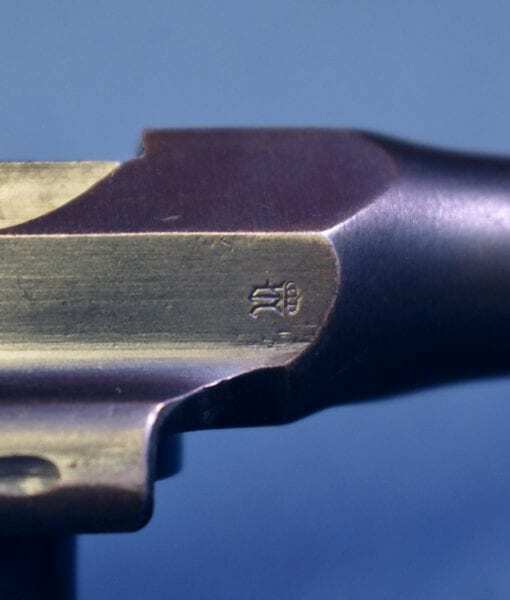 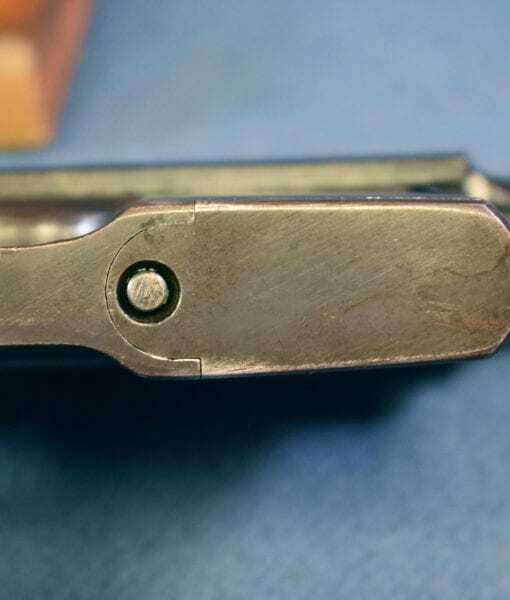 Another very important feature of this pistol is that the matching numbered grips are still in the factory original condition and have never been field modified by having the Red 9 added to them. 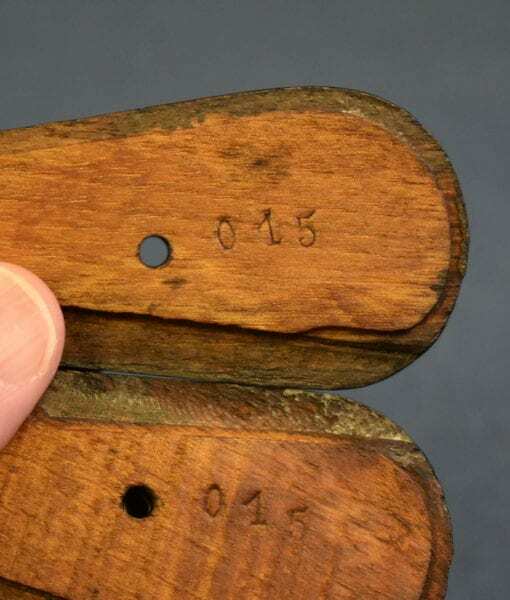 Only a handful of Red 9 Broomhandles are known this early that have not been so modified. 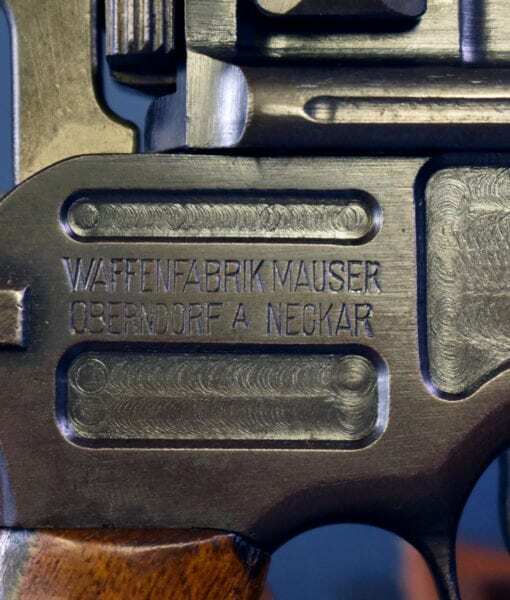 The desirability and rarity of this variation cannot be understated and it will be be of obsessive and extreme interest to many collectors of both Broomhandles and WW1 arms in general.